Ta Marat Mikhailovich Safin (Tatarish: Марат Мөбин улы Сафин, ny Marat Möbin ulı Safin, Rooshish: Марат Михайлович (Мубинович) Сафин) ny leddogeyr cosnee Rooshagh. Rug eh er 27 Jerrey Geuree 1980 ayns Moscow, agh t'eh Hataragh. 1. 2001 Gstaad, yn Elveeish Cray Roger Federer Michael Hill / Jeff Tarango 0–1, FAAG. 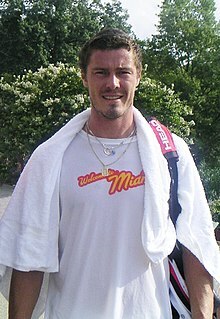 Ta tooilley coadanyn mychione Marat Safin ry-gheddyn ayns Wikimedia Commons. Hie yn duillag shoh er ny reaghey er 12 Mean Souree 2013, ec 19:28.